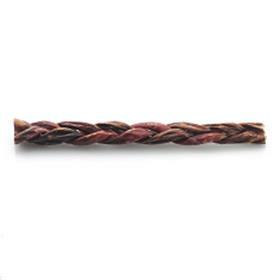 asting dog chew, the gnawing action your dog gets from our Braided Beef Gullets cleans your pups teeth and aids in the prevention of plaque and tartar! Additionally, these healthy dog treats also feature natural glucosamine - an amino acid shown to aid in joint health. Featuring the highest quality, wholesome ingredients, these single-ingredient chews are part of Barkworthies full line of all-natural dog products. Additive-free, preservative-free and chemical-free, Barkworthies makes treats and chews you can feel proud to give your dog.